Calling all 15-25 year olds, our young peoples' group Circuit, in collaboration with Young Art Kommunity at Firstsite in Colchester and in partnership with Cambridge Junction, have developed a free event of workshops, artwork and performances celebrating digital art. 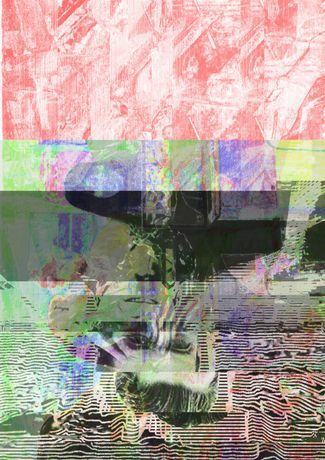 We are working with artists Antonio Roberts and Luca Mainini to deliver digital art workshops that use familiar technology, showing you how you can make your own glitch and GIF artwork. The event also consist of a platform for young digital artists to exhibit and perform, alongside live music. Drop in workshops: use every day technology to create your own glitch and GIF artworks. A showcase of work by young artists, musicians, and performers. The event is free but tickets must be booked through Cambridge Junction. For more information on Circuit click here. This event is organised by Circuit, the young peoples group at Wysing Arts Centre & Kettle's Yard, in collaboration with Young Art Kommunity, the young peoples group at Firstsite. Circuit is lead by Tate and funded by Paul Hamlyn Foundation.